Nationwide Free Dome 7 LLC is bridging the digital divide combining urban themes with traditional corporate infrastructure. The firm, founded by K. Syder, CEO, CFO (35 years experience in music, radio, live events, artist management), and J. Curry, President, COO, CIO (who has over 35 years experience in entertainment, business, education and IT) both joined forces under the Free Dome 7 LLC umbrella entity. Their team's first venture is an exciting, yet historically significant film regarding the birth of Hip Hop in Manhattan, New York (more specifically, Harlem, New York). The never before told story of Manhattan's first hip-hop record producers and party promoters, Mike and Dave Thomas, is coming to the silver screen. Free Dome 7 Entertainment is holding a pivotal cast, crew showing in New York City at the historic Maysles Theater, 343 Lenox Avenue/Malcolm X Blvd., New York, NY, 10027 on November 6, 2018 (6 pm to 11pm). A Q&A with the CEO (Mr. K. Syder) and President/Director (Mr. J. Spice Curry) will also be held. This project has been a labor-of-love that's come to fruition and highlights real Hip Hop pioneers", said Mr. Syder (Founder, CEO, CFO). "Mike and Dave Thomas were the first Independent Hip Hop promoters in Harlem, and one of the first Hip Hop Record labels in the world," said Mr. Curry (President, COO, CTO). 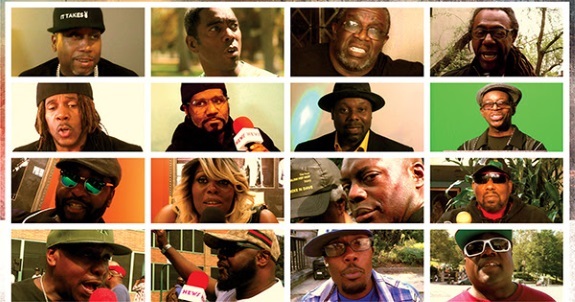 Various entertainers appear in the movie, including: Tico Wells (Five Heart Beats, Universal Soldier), Bonz Malone (Life/Eddie Murphy, Slam), Rob Base (It Takes Two), Reggie Reg, Shu Bee and Mike C (Crash Crew), Busy Bee, DJ Tony Tone and Easy A.D (Cold Crush Brothers), Afrika Bambaataa, Vaughn Jeter, Magic Dee and Iv West (Devastating 3), Rayvon, Johnny Wa (Magnificent 7), Keith KC, Pebblee Poo, Gangster Gee (Master Don and the Death Committee), Peso, Mighty Mike Cee (Fearless Four), Al B (Disco Four/ Voice of the Rucker/ EBC) DJ Rockin' Rob, DJ Jazzy G, Butter B (Divine 9) and Brother Tye with special appearances by DJ Lord Yoda X and Jimmy Spice Curry. The executive producers are Kenny Syder and Rob Base. Jimmy Spice Curry is the director, editor, and co-writer. For further questions, including how to interview Mr. Syder regarding Free Dome 7 Entertainment, LLC (and pending movie, album, convent/event and book releases), don't hesitate to contact the communications team at Press@Freedome7.com or call 440-673-3253.